At Ultra Power it is our promise and commitment to you to provide a high quality service. We guarantee to offer a cost effective service. Get in contact with us today for a free quote. Our dedicated project managers will ensure your project is finished on time and with the quality of finish you desire. First impressions last, so it is important that the first impression is a good one. For a property owner, the home or commercial space can have a crucial impact on visitors and it makes sense that a clean and fresh entrance to the property will help to make a positive impression on any guest. 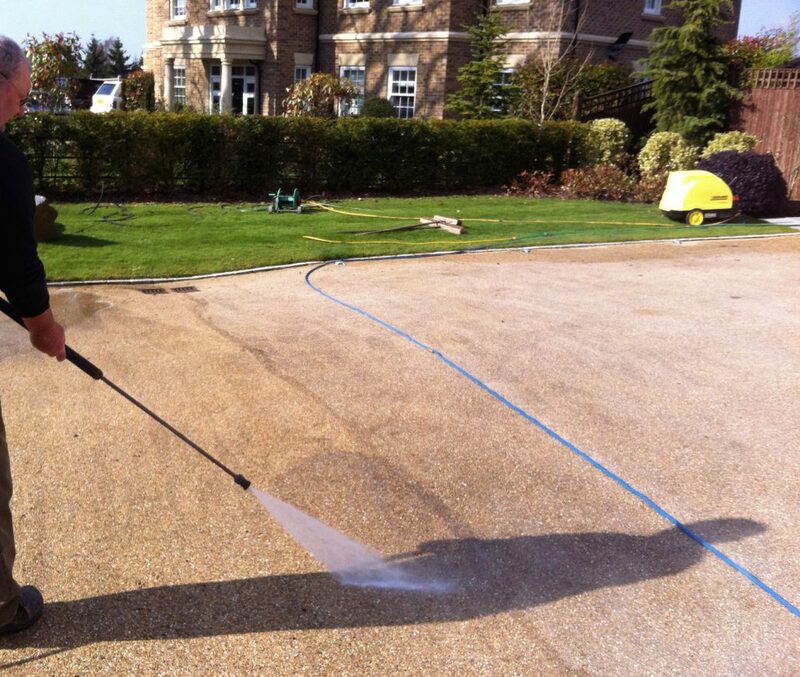 Let Ultra Power Washing give you an immaculate driveway that you would be proud to show off. 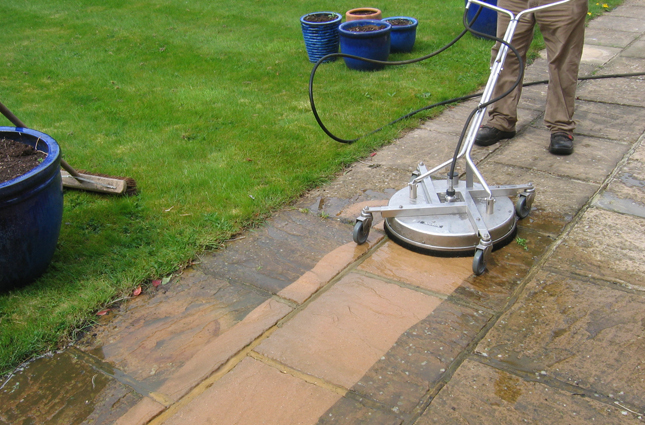 Why Use Ultra Power Washing in Bromley? If you own a house in a large suburban town such as Bromley you may have to maintain a well-kept entrance, driveway and patio on one of the many Victorian streets in the town. The town is vibrant and attractive and residents take great pride in their local community. 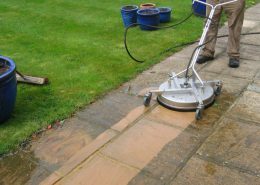 Here at Ultra Power Washing, we help property owners keep their driveways, entrances and patios looking spotless all year round. Our range of jet wash cleaning services includes patio cleaning, driveway cleaning, garden furniture cleaning and graffiti removal, among other services. 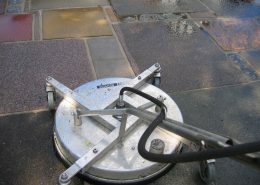 We believe that what sets our services apart is our use of a uniquely engineered pressure-cleaning technology, designed to produce perfect results, without causing spray damage to plants and other fixtures at the front of your property. 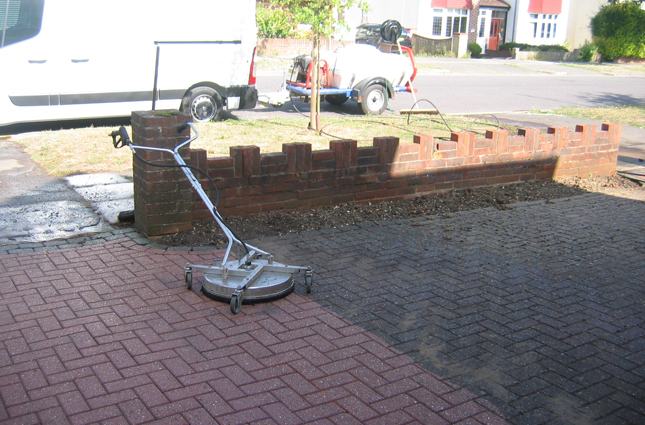 We complete each job promptly and efficiently, leaving you satisfied with the result. 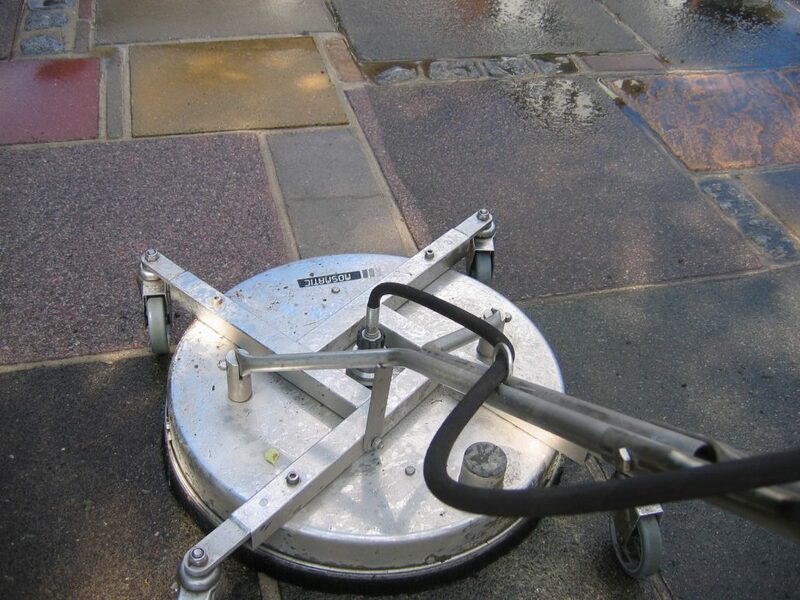 Be it your home, office or business establishment, we will leave your entrance in perfect condition. 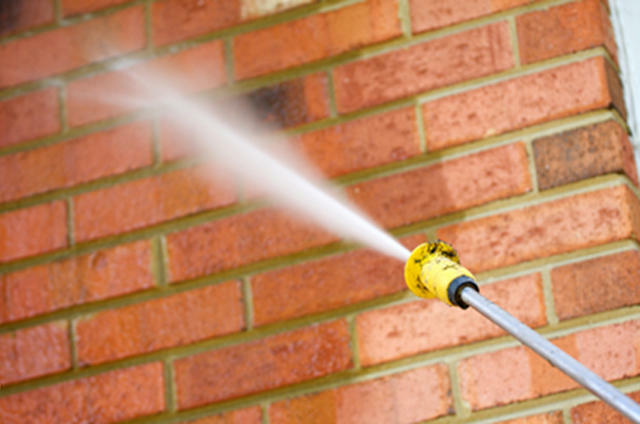 Here at Ultra Power Washing, we understand how difficult it can be for homeowners to keep an immaculate home. We believe that the cleanliness should starts at the entrance, and we are here to offer services that will give your property an instant facelift. Call us now on 0207 821 1221. I was very impressed with the professional way that the work was carried out. The result far exceeded my expectations. Many of the residents have remarked upon the beautiful result. I was preparing for a large garden party and needed the patio cleaning. I’m pleased I didn’t hire a machine, which was what I intended to do, because the way they cleaned the moss and weeds from the patio was amazing. 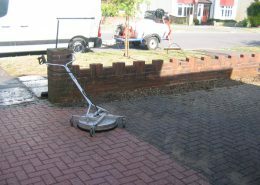 My block paving driveway had masses of weeds coming up through the brickwork. 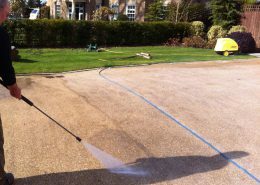 Ultra-Power cleaning transformed it back to the condition it was when it was first laid. An excellent job; most professional and I was very pleased with the results. The finished result hugely surpassed my expectations and I would recommend this Company to anyone. I have my own high pressure cleaner but did not have the time to clean my patio this time. The difference between the results they got and the results that I normally get were like chalk and cheese. I would never clean my patio myself again.